A man linked to the Sept. 11, 2001, terrorist attacks on the United States has been captured in Syria, according to the Pentagon. “We can confirm that Mohammad Haydar Zammar, a Syrian-born German national was captured more than a month ago by SDF partners as part of their ongoing operations to defeat ISIS inside Syria,” Marine Maj. Adrian Rankine-Galloway, a Pentagon spokesman, told Military Times. Zammar was named in the 9/11 Commission Report as an "outspoken, flamboyant Islamist" who extolled “the virtues of violent jihad.” He reportedly helped to recruit the lead 9/11 hijacker, Mohamed Atta, as well as other members of the “Hamburg cell,” according to the 9/11 Commission. The commission identifies Zammar as a German citizen from Syria. German and U.S. intelligence agencies had been aware of Zammar as early as the late 1990s. He reportedly trained in Afghanistan before moving to Germany, where he convinced members of the Hamburg cell to go to their own al-Qaida training camp in Afghanistan, according to the commission’s report. After the 9/11 attacks, Zammar was detained by German authorities, but ultimately released, according to the BBC. Zammar was later detained in Morocco and flown to Syria on a CIA-affiliated aircraft in the early 2000s, according to Reuters. Zammar was sentenced by a Syrian court in 2007 to 12 years in prison, Reuters reported. His lawyer maintained that Zammar was not connected to the terror attacks, and only attended the same mosques as the hijackers. After the Syrian Civil War began, however, Zammar was used in a prisoner exchange between Syrian government officials and Ahrar al-Sham — an Islamist rebel group with a Sunni Salafist bent. 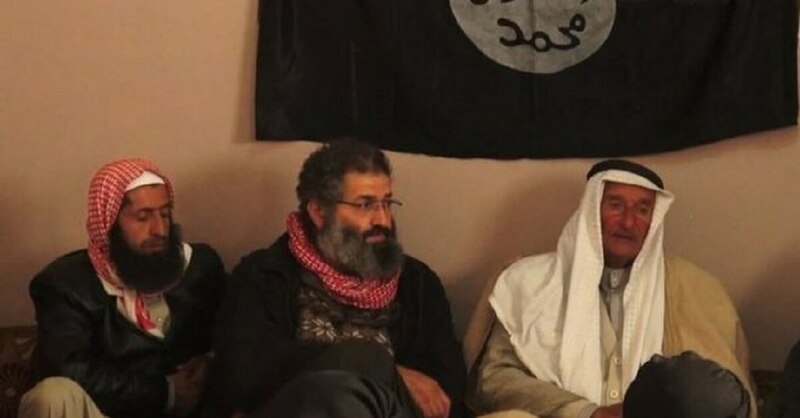 After the exchange, Zammar eventually appeared to connect on some level with Islamic State fighters, based on a picture of him attending a meeting with them in 2014 that was published by ISIS’ media wing al-Furqan. “This is a strong reminder of the threat posed by ISIS and its network of foreign terrorist fighters that continue to plot to do harm against the Syrian people and the international community,” Rankine-Galloway said. “Much fighting remains to defeat the residual pockets of ISIS and to ensure its lasting defeat in the region. With this terrorist leader's capture, the SDF have once again proven their effectiveness and ability to disrupt and degrade the ISIS terrorist network in Syria,” Rankine-Galloway added.